Rex Mansfield was inducted into the Army on the same day as Elvis Presley in March 1958. He went with him through basic training with him in Texas, and travelled with the King to Germany and became close friends for the next 18 months. Elisabeth Stefaniak was a young German girl in 1958, and was hired to answer Presley's fan mail. Elisabeth became romantically involved with Elvis, but was torn between her love for the King, and an ordinary solider named Rex Mansfield. Elisabeth eventually chose Rex and they married in June 1960 - but never saw Presley again. 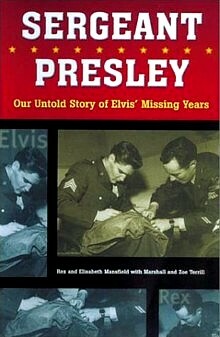 In 2002 they published their highly regarded book "Sergeant Presley: Our Untold Story of Elvis' Missing Years". Rex Mansfield passed away: It is with real sadness that I have heard that Elvis' army buddy Rex Mansfield passed away August 26, 2018. He was 83. While Rex seemed older he did was energetic and talked with fans as he signed copies of his book. That was only 2 weeks ago, so his death is a real shock. Rex and Elisabeth's book, "Sergeant Presley: Our Untold Story of Elvis' Missing Years" is a story three people: Rex, who becomes a close friend of Elvis; Elisabeth, who becomes one of Elvis' girlfriends; and Elvis himself, during the "missing years." 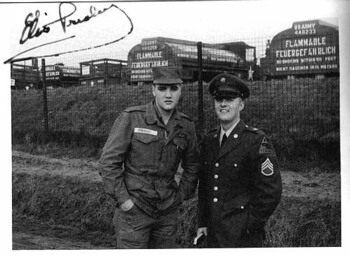 Note: The photographs in this article are taken from the Mansfield’s book "Sergeant Presley". The book itself contains 40 pages of 96 photos nearly all of which are previously unpublished. They provide a fascinating glimpse at Elvis’ life in the army. 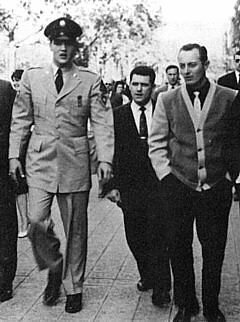 Rex Mansfield became one of Presley's closest friends in the Army, whom Elvis nicknamed, "Rexadus." The new website Rexadus.com features a 50th Anniversary commemorative edition of their book. The updated version of their book is a lively account of their years with the King (1958-1960) with chapters written by both Rex and Elisabeth Mansfield. The Mansfields were interviewed by EIN's Piers Beagley at The Peabody Hotel, Memphis, Aug 2002. EIN – Thank you so much for taking time out of your busy schedule in Elvis Week to talk to us. Have you run into many old friends since you’ve been here? Rex – Sure, we’ve run into some of the Jordanaires and lots of old friends. EIN – Elisabeth how was it that you first met Elvis? Elisabeth – I had read in the Stars & Stripes newspaper that Elvis was going to the theatre every night in Grafenwohr and that he and his buddies would go in after the lights went down and that they would usually leave like 5 minutes before the movie was over. So since I was a big Elvis fan I saw my chance & went to the theatre to maybe see him but mainly to get an autograph. All the GIs were coming in and in their crew-cuts they all looked the same. So I asked the manager and he told me approximately where they were sitting. I saw one soldier get up who was sitting in that area & he came back to get some popcorn. I was waiting in the lobby in the dark and I asked him "Are you sitting anywhere near Elvis?" and he said, "Yes, I‘m one of his buddies in fact I’m sitting right next to him!" I asked him "Would you please just get me an autograph?" and he said "Sure" and went back inside. Well moments later another soldier comes out and says that Elvis would like me to come down and sit with him! And that soldier happened to be Rex! EIN – That is amazing! So it was Rex that introduced you to Elvis and also Rex who took you away from Elvis! Rex might be the only man who has ever done that! Elisabeth – It’s true! As we say, Rex walked me down the aisle to meet Elvis and then a few months later walked me up the aisle to get married! EIN – You obviously knew of Elvis the idol & the star before you came across him. How old were you when you met him and what was the difference between the man you thought you’d meet & the man you went to work for? Elisabeth – I was 19 years old when I met him. He was real down to earth. I had wondered if he was going to be macho & stuck on himself but he met my parents after a week and everything was "Yes, Mam" & "No, Mam". They were very impressed. He could be very charming. He would start talking about his Father. That was the only time I saw tears in his eyes. It was because he was kind of hurt that his Mother had just passed away & his Father was already dating. Rex - But he really honoured both his parents and he would never say anything. He never said one word (against Vernon) but you could see it in his expression. You could see him hurting but he wouldn’t say anything. EIN – It must have been a real shock to Elvis as Gladys meant his whole life and yet Vernon seemed to move on so quickly. Elisabeth – You know that women were running after Mr. Presley (Vernon), not like he was Elvis, but you know that he was a nice looking man. And he could sing too. He used to love to sing that song ‘From a Jack to a King’ which was one of his favourites. He used to sing that quite often. EIN – So did you sit around listening to them singing and Elvis playing the piano and just think "Why aren’t I running a tape recorder across that"? Rex – But to be Elvis’ friend of course - and Charlie (Hodge) will tell you this - when you were with him you just couldn’t do that. You didn’t take photographs or anything. The only photograph I’ve got is when I made Sergeant and somebody snapped a photograph. EIN - Could anybody live off post at that time in their own private house or was Elvis a special case? Rex – Anybody could do that if you had the money. Often soldiers would get their wives out there. If you could afford to bring your family then you could even get an allowance to live off base. EIN – Did you go through Fort Hood with Elvis – Weren’t you his first army friend since he met Charlie Hodge later on? Rex – Yes, I was drafted here in Memphis on that first day but I wasn’t the first friend as he had already befriended a guy named Nervous Norvell. And they kind of hooked up together at the beginning. Bill Norvell’s hometown was just out side of here at Millington, so they hit it off and they ended up in the side-by-side bunks. But I saw a lot of these guys trying to brown-nose Elvis but he was wise to that. I thought ‘sure I’d like to be a friend of the King of Rock N Roll’ but I left it up to providence. If it happened, it happened. The famous story of course was when Anita Wood came down on a surprise visit and Elvis was supposed to be on guard duty but I did it for him instead and I wouldn’t take pay for that. So he respected that and from that point on he brought me into his group. EIN - What were you doing before you were in the Army? Rex - I was in Sales and had a career going which was why I could get back into civilian life later on. Before I met Elvis I wasn’t a fan, I didn’t really have any feeling at all. I wasn’t really a Rock N Roll fan and I was raised on traditional music & gospel music. When I saw all that stuff on the Ed Sullivan show I didn’t really know what all the screaming was about. To be honest I had a lot of admiration for Elvis’ talent – It was a God-given gift. To play the piano & guitar, yet he couldn’t read a note of music. But he had it – It must have been a gift ‘cos it was just so natural to him. I respected that a lot. But more important than that I cherish my relationship with him because it was a man to man thing. I got my army pay just like he did and I didn’t have to go to him for handouts. EIN – I think that you probably did the best thing you could have done by walking away. Unlike the Memphis Mafia where their salary was paid by a company called "Elvis" that no longer exists, you managed to create you own life. In a kind of a way it makes you feel sorry for them doesn’t it? Elisabeth – You know that they were used to living like millionaires and then it all disappears. Rex - Joe Esposito said this on Larry King the other night – That every one of them is divorced. That was another choice that we had to make. We were in love with each other and we wanted to live our lives together and now we’ve been married 42 years. God gave us some wisdom to understand that, even at young age and we never regretted it for one minute. EIN - Elvis is reputed to have a bad temper and of having a very hot/cold personality. Was he like that in the army or do you think that came later? Elisabeth – I did see a little bit of his temper sometimes. Mostly when he would say some harsh things to you. I mean I never saw him throw things at me but he could say some hurting things. One time we went into Bad Nauheim because he wanted to buy some things and he also wanted to buy me some clothes. While there he chose a particular trashcan he liked for his bathroom. We were in the store I said to him "Elvis, you already have a basket in your bathroom" – Well that was the wrong thing to say! He turned to me and said "Don’t you ever tell me what to buy or not to buy. If I want to buy a thousand trashcans …" . We walked out the store and that was when he said "I was going to buy you some clothes but you ticked me off" and then for 2 days he didn’t speak to me very much. Not one time did he ever say anything bad to me but I’ve seen that personality. I think it was more of a release for all that tension built up in him. Rex – Lamar would do it too! Elisabeth – You know Red would be out making a stand every night when we were there and Elvis had respect for Red. But we haven’t seen him for ages and Red is a real private guy. Rex - I’m sure Red feels some guilt about that "Elvis What happened" book but he loved Elvis a lot. I think a lot of people get that book wrong, it wasn’t what they were really trying to do. Rex - When Elvis would get angry and try bossing people around, Lamar and Red & Cliff would sing "What a friend we have in Elvis" and that would really tick Elvis off. Rex - I know that Lamar is not too popular with some fans here and he made a lot of mistakes. Selling his stuff to Albert Goldman was a big mistake but we point out in our book that there are really only two types of books about Elvis. He’s either a Monster or he’s a God and in our book we put him in the middle. We know everybody is not perfect. We treat him very fair, we talk about all of his good points but we also talk about his bad points and these make him human. He was a man with an amazing talent and great gifts but also very human. He was also a complex person. This was due to his roots and the way he was raised up and everything and I think he was as surprised as anybody was about his fantastic phenomenal success. It was just ‘the right place and the right time’ and that made him very complex and also made it very difficult for him to deal with all of it. 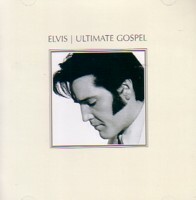 Elisabeth – It would also make you wonder what Elvis would think of all of this (Elvis Week) now! EIN – Have you been through Graceland recently? Elisabeth - It looks different now. Rex - We’ve taken friends through because when I came back from basic training in Fort Hood Elvis invited myself & Norvell to ride back with him in his Continental. I was able to call my parents on his car phone – this was 1958 – a car phone!! So my folks drove down and when we arrived there were 500 screaming fans at the gate. Vester was at the gate at the time. We went on up to the house and in 1958 to me it was like an amazing apparition; it was so beautiful and so perfect. It was a special time for me because I was introduced to everybody including his parents and I could see that there was a lot of love, especially for his Mother. The big thing for me was that I got his undivided attention because Norvell had already got out to meet his wife. So then it was just Elvis & I. Then, instead of telling Lamar or Red or whoever to drive me over to my parents, he personally got into his Cadillac and took his own time to drive me over to where they were staying. EIN – So Elisabeth you really had Elvis as your driving instructor? Elisabeth - Well he could have sent Lamar or Joe out or whoever but you see I had a driving license that I lost because I was over in Germany. So I had to renew it. So it was actually Elvis who drove me to the parking lot and let me practice with him to get my license! EIN – You obviously knew Priscilla from those times. When was the last time that you have seen her? Rex – Elisabeth & I were in the house the night that Currie Grant came over with Priscilla for the first time. We met her the first night that Elvis did, she was a little teenager..
Elisabeth – We haven’t seen her since we left. She has her life and we have ours. Rex – The last time I saw her was when Elvis was waving goodbye to her at Frankfort airport! He and I came back on that plane together. You have to understand that with Elvis you were with him or you were not with him. There is no in between. EIN - Who persuaded you that it was the right time to release the book? Rex - We have actually always wanted to do the book because we have a great love story, of a special meeting, and I was the only guy who went in with Elvis on the first day and came back with him on the final train to Memphis. Once I stood on the back of the train In Virginia and waved at his fans because he was sleeping and Col Parker told me to do that. So I had my half a minute of fame! I had my uniform on so that you couldn’t tell! Marshall Terrill called me 2 ½ years ago and persuaded us that finally we should do the book and I think that it’s worked. We wanted to make the book high quality so that we also ensured that, for instance, the photos were taken from our original negatives rather than copies. EIN – What was it like being in Germany before Elvis turned up? Did you get any anticipation that Elvis was about to arrive? Were the locals relaxed about it? Elisabeth – In the town I was living in we didn’t know that Elvis was going to be anywhere close. There were a lot of stories of Elvis in the magazines and his relationship with Margit Buergin who he was seeing. There were a lot of people excited that he was going to be in Germany but I never thought I would meet him as we never knew that he was going to come to Grafenwohr. Once he got there the word got out real quick but beforehand people didn’t really expect anything. EIN - What was your 18 months as a secretary like? Elisabeth - As a teenager I don’t think that I could really take in everything that was going on. Elvis really wasn’t my boss that was Vernon. But it was really exciting. I was there while Elvis was singing, with Rex singing too – just for fun. They have claimed that Elvis gave a song to me (that he wrote) to type up but that isn’t true. EIN – Do you have any memorabilia yourself that you kept? Elisabeth – I have just one card that he signed for me. I didn’t collect anything. 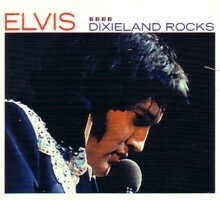 Above: Autographed photo of Rex with Elvis when Rex made Sergeant. Rex – I have my military stuff. We also got one card after we both left to get married that following Christmas. He had Col Parker send us that card – just to aggravate me I think, but it wasn’t personally signed. Also Minnie Presley wrote to Elisabeth afterwards and we still have a copy of that. EIN – You obviously had a great friendship with Grandma Minnie Mae, It’s a lovely story about how she helped put you together. Rex – It really showed the love she had for Elizabeth and she always liked me a lot because I always paid attention to her whereas most of the guys who came around said just saw her as ‘that old lady’. I had no intention of meeting Elisabeth at the time but she just ‘put it on us’! Elisabeth - Plus you were engaged to another woman back in the States at the time! Rex – Also I knew the rule that ‘You don’t mess around with Elvis’ girls’ but when Grandma says, "I want you to do it".. . Well at first we really hesitated because we knew that it would be a problem but Grandma just kept on insisting and once we did meet, boy I tell you, the sparks just flew! Elisabeth – It’s amazing that Minnie Mae outlived them all and I always thought that she would be the first one to pass away. She was a tough old girl, was always chewing a toothpick! I was living in the house with Elvis at the time. I spent 17 months there after first living in the Grunewald hotel for a month previously. EIN – Elisabeth did you ever have to sign Elvis’ signature because you could probably buy back one of your originally signed cards for a lot of money! Elisabeth – I had to practice for one week before I could official sign stuff on behalf of Elvis. EIN - It must have been so hard for you to walk away from something as all encompassing and special? Elisabeth - It was hard. I was offered the job of his private secretary with trips to Hollywood occasionally. Rex – I was offered Joe Esposito's job before he got it. He offered me that on the train, to be his road manager. EIN - Any regrets at all? Rex - No, never! Of course Elisabeth had a terrible time choosing and I can understand that. 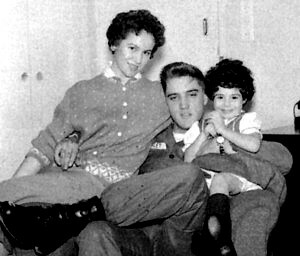 She was in love with Elvis and all that and the practical side of her tried saying that she could have been "his secretary and girl friend occasionally" – but that would be a heart breaking thing. But I couldn’t have stayed around Elvis with the love I had for Elisabeth. I couldn’t have been able to live like that. So we knew that if we decided to choose each other, then we were going to have to leave. We had no choice. When I left to go home after Fort Dix I told Elisabeth "I will not call you. If you call me I’ll come back and get you but you have to call me". It was important for her to make that break. Elisabeth - When I left, Elvis said that I could always come back. I didn’t tell him that I was thinking about marrying Rex. He said "Anytime you want your old job back, you can come back". Rex - (Laughing) We did invite him to our wedding but he didn’t come. EIN – Do you have children and are they Elvis fans? Rex - We have one son. He is an Elvis fan and has all his records. It was almost a problem when he was 10 years old when he seemed to start believing that Elvis was some sort of God. He put Elvis posters all over his walls and more .. It actually got serious and we had to step in to try and get him to take his mind off Elvis. He is still an Elvis fan but now he has it in a proper perspective! EIN – Finally, do you think the army was good for Elvis? Rex - Absolutely! He and the Colonel decided that he was going to go in and going to serve his country as a regular soldier with no special handouts. He could have gone in to the ‘Special Services’ as all the other guys did. But it was a fantastically smart move because the older generation, like my parents, they didn’t like Elvis at all. With what he had been doing, the rebellious stuff and long hair, it was a huge generation gap. But by him going into the army and serving his country and being the man, when he came out he had everybody’s respect. So I say "That plan. It worked, it worked, it worked!!" 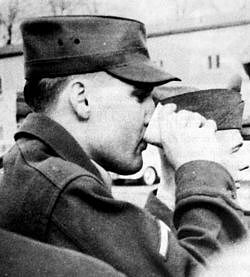 I think the army allowed Elvis to focus on what was really important in life and to find himself as a man. EIN - Thank you so much for taking time out for talking to us, it has been an absolute pleasure.